The definition of average. 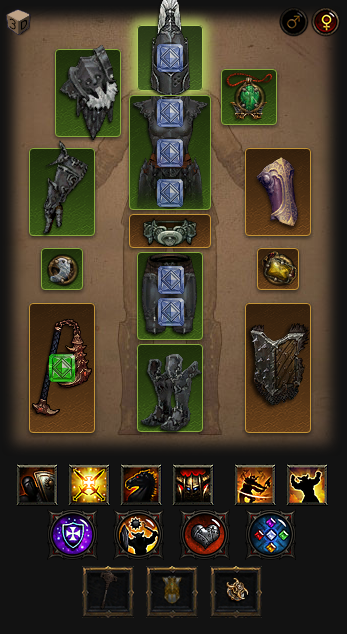 These builds will work for just about everyone. They're not the very best, but they're functional and fun. We'll start with a necromancer build and immediately note that this is a conservative estimate. Currently tied for 9th place but almost definitely capable of higher, we're keeping this build in the C tier until it proves its strength. In theory, there's a variant of the rathma singularity build that can out-DPS any build in this game, but it'll come down to how practical the build is in play. These builds combines the rathma's 6-piece bonus, which revolves around skeletal mages, with the singularity rune on skeletal mage which makes you dump all your essence to create a super-powered mage. 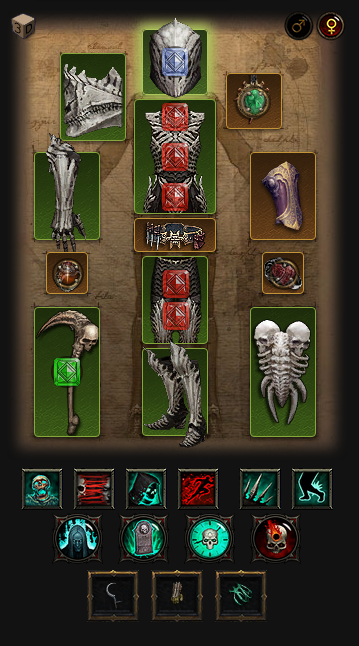 With Rathma's being the starter set for necromancers in season 11, gearing toward this build is a solid choice. 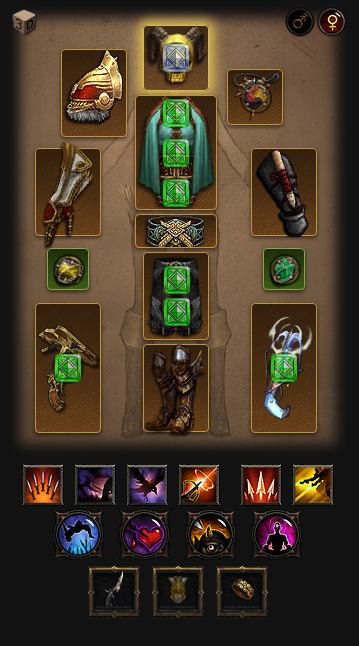 The other build tied for 9th placed, this was the best demon hunter build for a while before the introduction of grenades builds. Falling from its #7 spot, this build is difficult to gear for, difficult to play, and only marginally more powerful than the Shadow Impale build. At least the shadow impale build is also useful for group play, so if you don't want to opt for the most powerful DH build, which we'll cover in a bit, then I'd recommend shadow impale over this one. Tied for 8th place, this build has fallen from the A tier and 5th place into mediocrity. The best crusader build in ages past, it has fallen out of favor due to being difficult to gear for, not particularly fun to play, and weaker than the top crusader build. The other build tied for 8th place. It received a big buff in patch 2.5, and as a conservative estimate, we placed it in the D tier last season. However, it has proven its worth and landed in the C tier this time around. While not the easiest build to play, it's easier to gear for than the LoN Bomb sader, and is perhaps the best build to use to gear for the top crusader build. 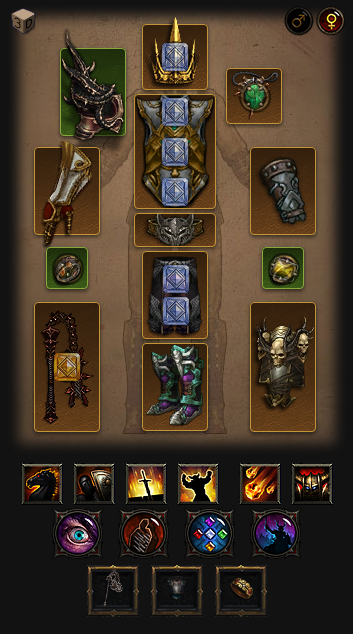 Even better, it's the starter build for the crusader in season 11. 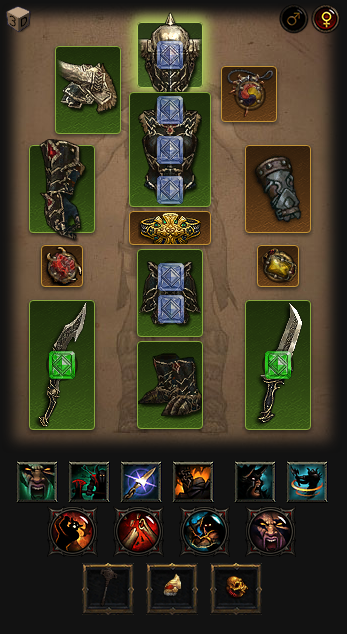 Tied for 7th place, we have another necromancer build. Conservative estimate. With unoptimized gear and paragon levels - it can certainly push higher, possibly up into the B tier or higher. 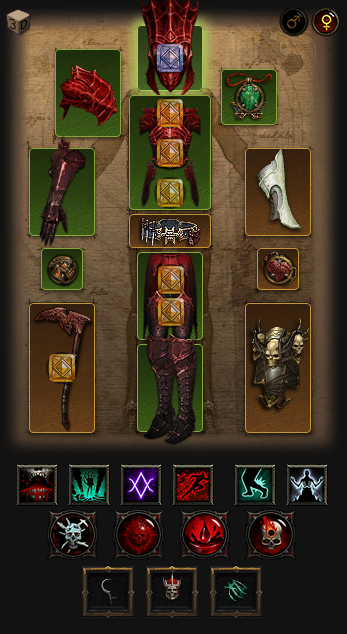 Still, it is not the most powerful build that uses Trag'Ouls set, and being a thorns build, requires completely different gearing than other builds, so it's difficult to recommend this one unless you really want to run a thorns pet build. The other build tied for 7th placed. In our previous list, this build landed in 9th place in the D tier, and is one of the few builds to have actually risen, proving that reports of the barbarian's death were greatly exaggerated. While the barbarian is still the weakest class, it's only one greater rift level behind the demon hunter and certainly respectable.